It is an advanced service that use RNP Digital Video Network (Rede de Vídeo Digital - RVD), server infrastructure throughout the country for the distribution of audiovisual content. Through it, you can broadcast events in real time and high quality. Thus, the client institutions that wish to broadcast live an event happening on its organization do not need to have a robust server or a large bandwidth capacity to meet the many simultaneous accesses of users and spectators. The optimization is performed through a connection between the local server and the Digital Video Network, according to the user access demand. The service broadcasts live events; therefore, it is not about recording for subsequent exhibition or provision of the necessary infrastructure for capturing and encoding audio and video on the site, which is the customer's responsibility. Its operation is given from a client computer connected to the internet, which encodes images at the event venue. Then the video is captured and distributed over the network through a distribution infrastructure called Digital Video Network. The server equipment are called reflectors, because they act as repeaters of the video being broadcasted, assuring that the spectators quickly access the broadcasting and the client (organizer of the event) saves resources. In 2012, a project to upgrade software infrastructure made it possible for the service to broaden the amount of local servers and consequently the capacity of simultaneous accesses originating from RNP’s backbone or outside it. The same project also brought new security resources, allowing greater control over the trafficked content. RNP client institution must be in accordance with the service’s User Policy and get acquainted with the User’s Guide, in order to request the scheduling, with the necessary transmission data, to RNP Service Desk through the e-mail sd@rnp.br or by phone on (55 61) 3243-4330. RNP began transmitting live events in 2001 on a trial basis. 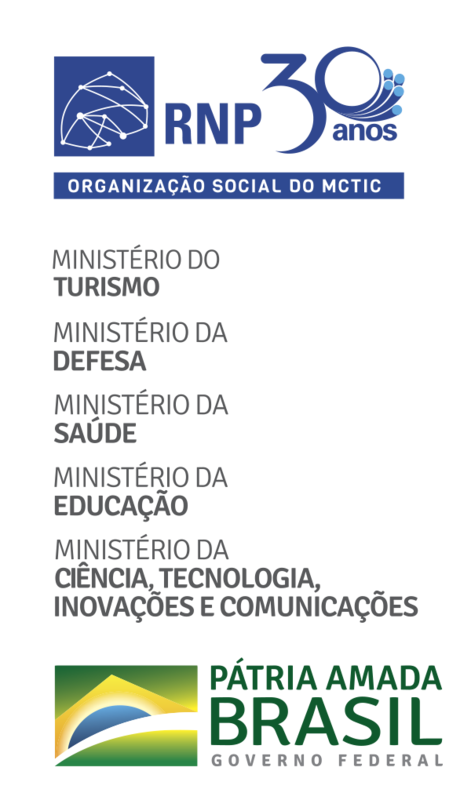 The following year the multicast technology was used for the first time, to transmit a course at the Institute of Pure and Applied Mathematics (Instituto de Matemática Pura e Aplicada - Impa), in Rio de Janeiro, to many Brazilian states. The Live Video Transmission service started to be officially offered by the organization in 2003, based on a digital video reflectors network that deploy the multicast at the application layer. Since then, the service has met the demands of many user institutions to broadcast seminars, lectures, courses and even space missions. At the request of the Brazilian Space Agency (Agência Espacial Brasileira - AEB), RNP transmitted in 2006, the images of the first Brazilian astronaut mission, Marcos Pontes.